The journey to Canadian soil has been an interesting one for Fisher Flying Products. Originally founded in Ohio, USA by Michael E. Fisher, the company had a quick ownership change and flourished for 20 years before arriving in Woodbridge, Ontario in 2009 under new ownership. In 2014 Dave Hertner of Dorchester, Ontario (close to the city of London, ON) purchased Fisher and is merrily producing kits and components for the Fisher fleet. Fleet we say? Well, yes, over 30-odd years, Fisher has released a veritable buffet of models, servicing every pilot from single-pilot high-wing micro-planes to capable, robust bush-planes in the Cub-style to classic bi-planes and even warbird replicas. It’s a huge list from a company who want to appeal to everyone. The most incredible fact about these birds is that they are all of wooden construction. Now this may sound a little alarming to the un-initiated but we have to remember a simple fact. Many of the aircraft in WW2 were built of or with wood and they flew at 400MPH+ and fought pitched battles at high G with, you know, bullets. OK then, let’s not discount wood right-away. Wood is strong, light and easily-worked. Wood, for an aircraft material, is actually ideal. Enter the wooden kit manufacturers like Fisher. Actually there aren’t too many like Fisher. Many kit manufacturers have gone the way of aluminum and steel, thus focusing on build simplicity and expediency than traditional craftsmanship, but the vintage and traditionalist crowd still hanker for the real thing. How do we know this? Simply because there are hundreds of Fisher aircraft flying all-over the planet. On entering the facility with Dave, who had very kindly offered us a tour, we were greeted with the smell of cut wood – not unexpected but extremely agreeable. 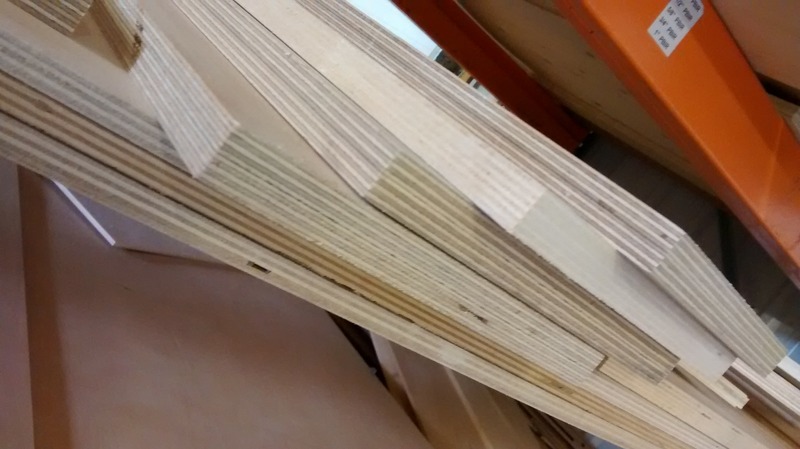 There were stacks of specialized plywood, from a few milimetres in depth to over an inch containing what looked like over a dozen “ply’s”. 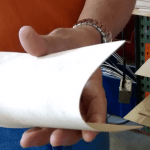 This isn’t your grandad’s shed plywood, it’s selected from specific sources for specific attributes like flexibility, durability, tensile and compressive strength and weight. The machinery was simple, but specific to the task. 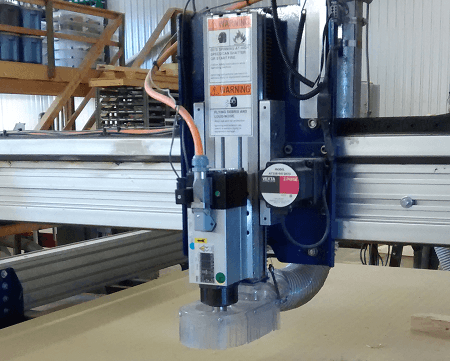 A large C&C-type wood-cutting machine can cut larger parts or multiples of smaller ones with laser-like accuracy meaning these parts actually fit together. Fisher actually have some parts which fit so tightly, dry-fitting can be difficult to undo. There are specialized tab-style and gussetless connections which match strength with minimal material, keeping things light, strong and accurate. There were wing ribs being built on the table and it was easy to see that the home-builder could, upon construction of the jig to do so, could produce parts efficiently. 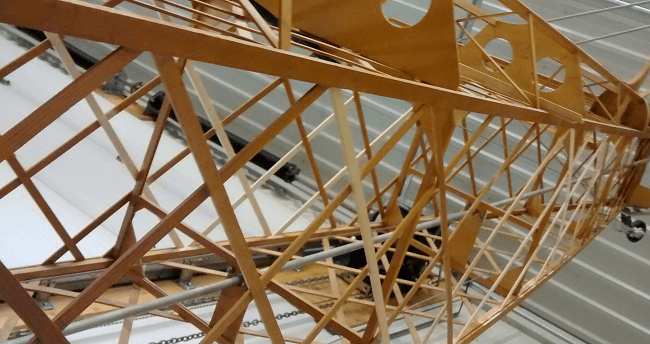 The wooden kits comprise the plans, materials and all fixings to put the aircraft together. It looks to be a wood-craftsman dream to get a stock of specialized wood, plans and instruction and have-at-it. 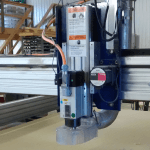 Quick-build kits are available for some models, meaning the home-builder can utilize the factory expertise for some of the repetitious items (like ribs for example) speeding-up the process – but many Fisher builders start from scratch. Obviously, not all the parts are wooden. Landing gear and control elements are metal and cowls, windows and the like are, naturally, the applicable material – all contained in the kit. 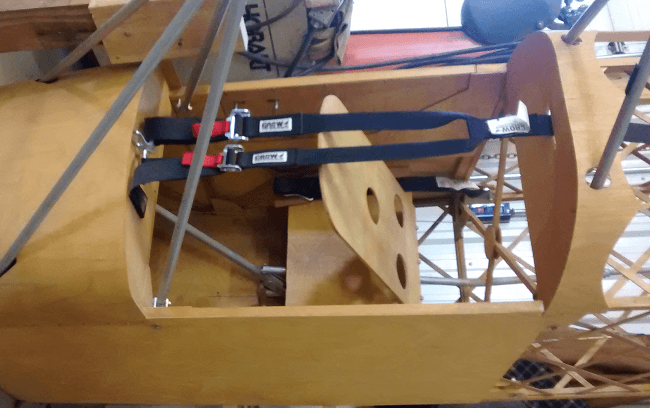 The kit comprises around one third of the cost of a flying aircraft – that’s a reasonable rule of thumb for many kit planes as a matter of fact. The engine is certainly going to be a major part of the cost, but here again, Fisher can assist. There are several options including smaller Lycomings, Rotax, Polini, Hirth and D-Motor, the latter being a make for which Fisher has the Canadian distribution rights. 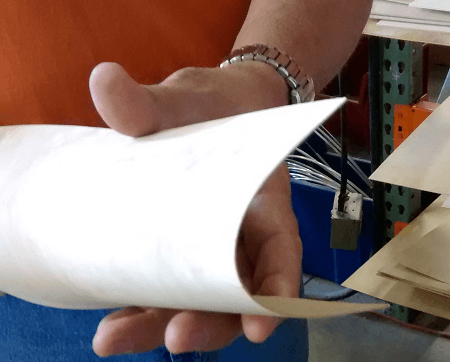 Avionics and finishings make-up the last third of the cost to complete but with these often VFR day-flyers, these can be kept to a minimum. It doesn’t make sense to put a glass-panel in a vintage bi-plane replica so in essence, the simpler the better. What does all this mean for your wallet? 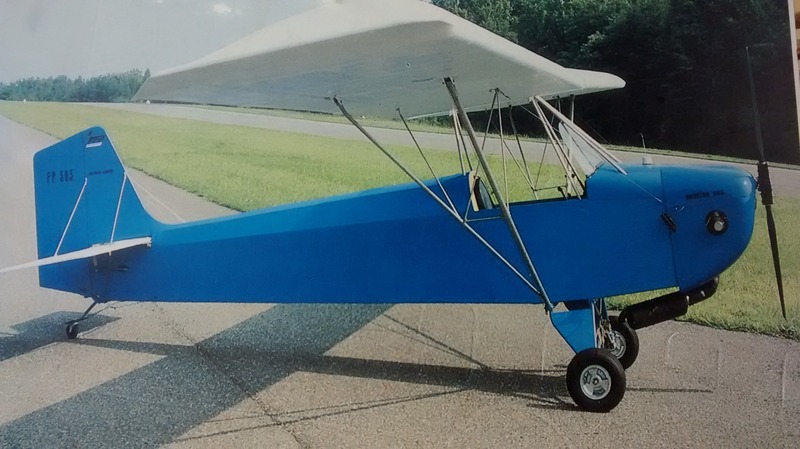 You can build and fly a more simple Fisher model for $15,000 for certain. A Youngster or Classic bi-plane will be proportionally more due to be larger, more compex and having an extra set of wings, be here again, a beautiful example is easily buildable for $55,000. Dave is a new owner-manufacturer with an established marque. He understands the Fisher legacy and is extremely eager to service current owners offering assistance and service. Dave is keen on promoting the idea of affordable flying and classic craftsmanship with his line-up of beautiful aircraft. A huge thanks to Dave and his team for extending us such a warm welcome. We heartily recommend a chat with Dave if you are interested in these wonderful machines.